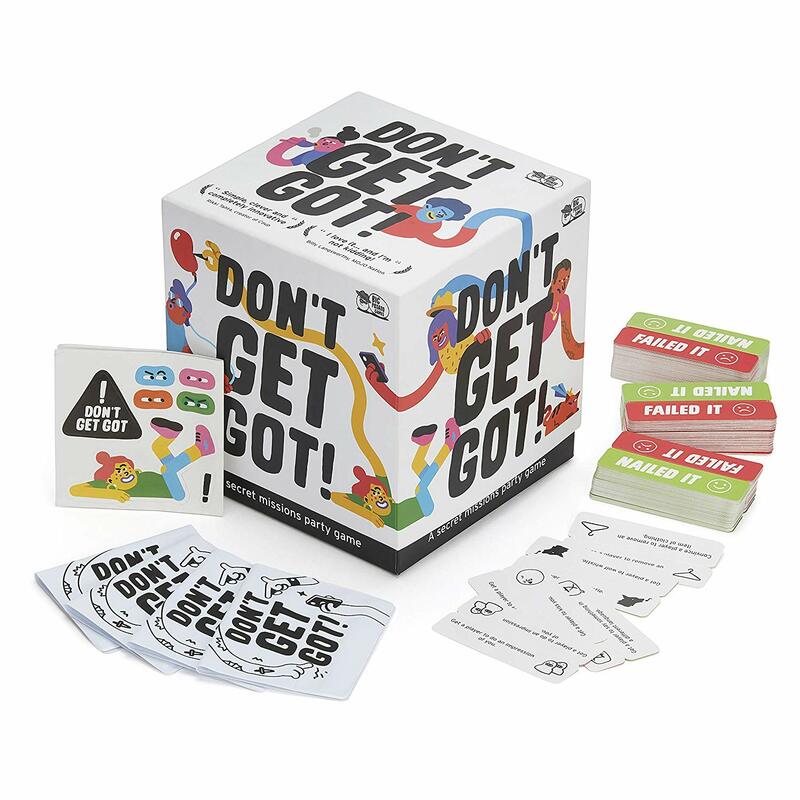 Don’t Get Got is a party game about completing secret missions and there’s no telling when (or where) that might happen. If you’re looking for a typical ‘sit down around the table’ sort of game, turn back now. The game doesn’t end until someone completes three missions, which could happen at any time – so make sure you don’t let your guard down! 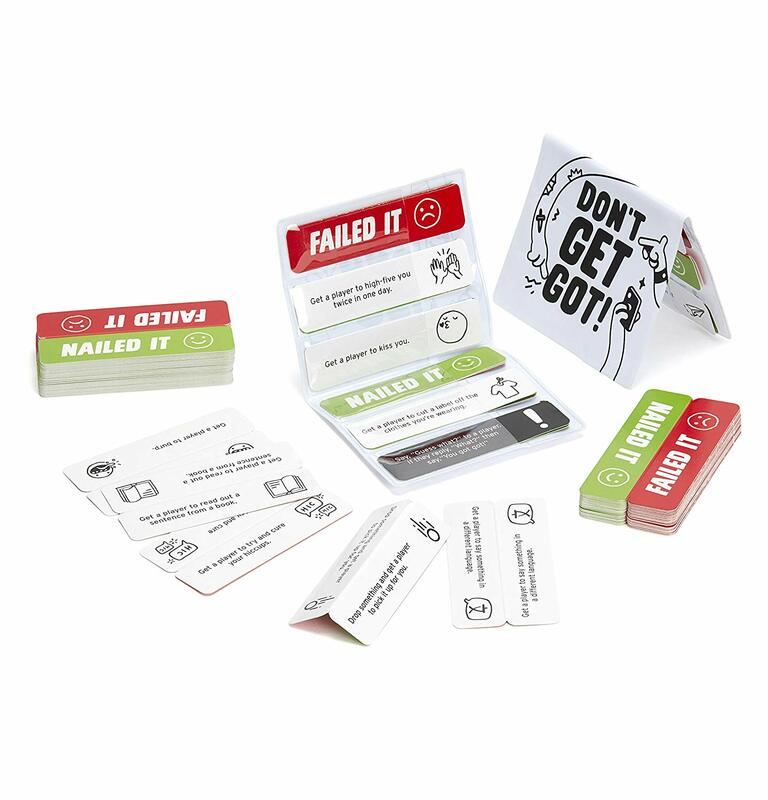 A party game for adults and teenagers alike. Works best with 2-8 players. Don’t Get Got: A Party Game About Completing Secret Missions… And Not Getting Caught Don’t Get Got is a party game that’s not like most other party games. It’s designed to run in the background, which means that you can literally play it anywhere – at home, on a holiday, as a dinner party game or even during a drinking game. Either way, no matter where or when you play it, you’ll always have to keep your guard up… because there’s no telling what the other players might be planning. 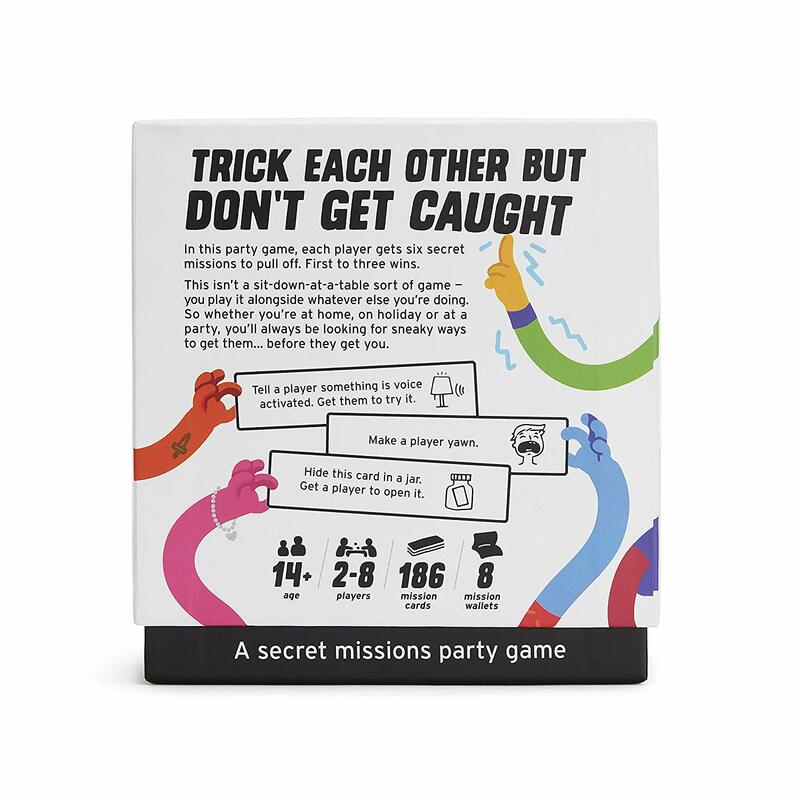 With over 180 different missions that can be attempted in loads of different scenarios, this is one of those party games for adults and teenagers alike. To start, each player gets given a mission waller with six mission cards, which they keep secret from anyone else. On each card is a mission – one that requires you to trick one of the other players in some way. For example: “Hide this card inside a jar and get a player to open it”. If a player’s feeling suspicious and accuses you, you must come clean and remove that mission from your wallet. However, if they open the jar without thinking too much about it, then success – you’ve scored a point! Wave the card in their face and tell everyone in the game that you’re officially one step closer to winning the adult family game. 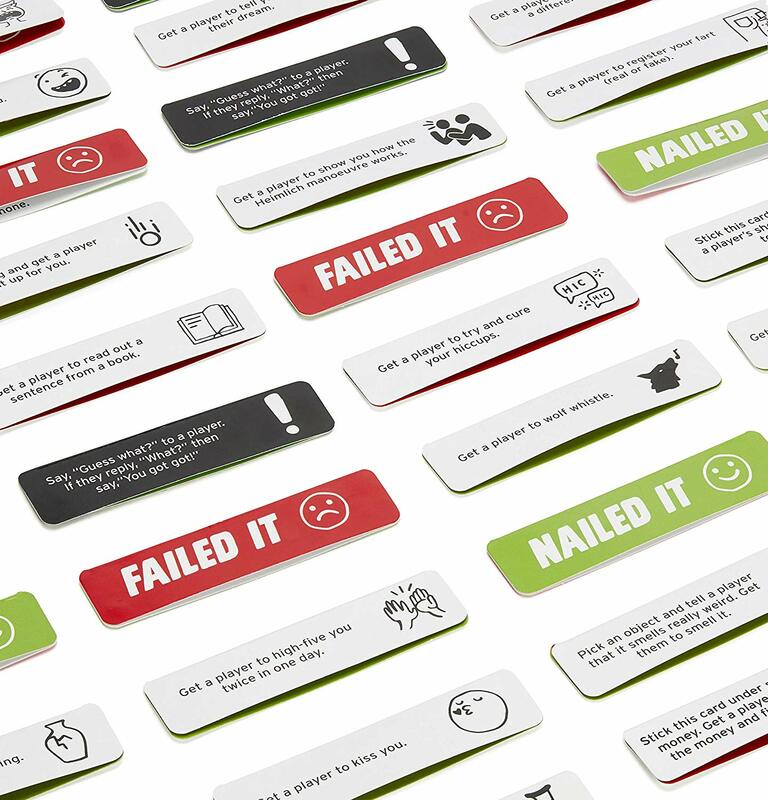 The first player to successfully complete three of their missions, wins. 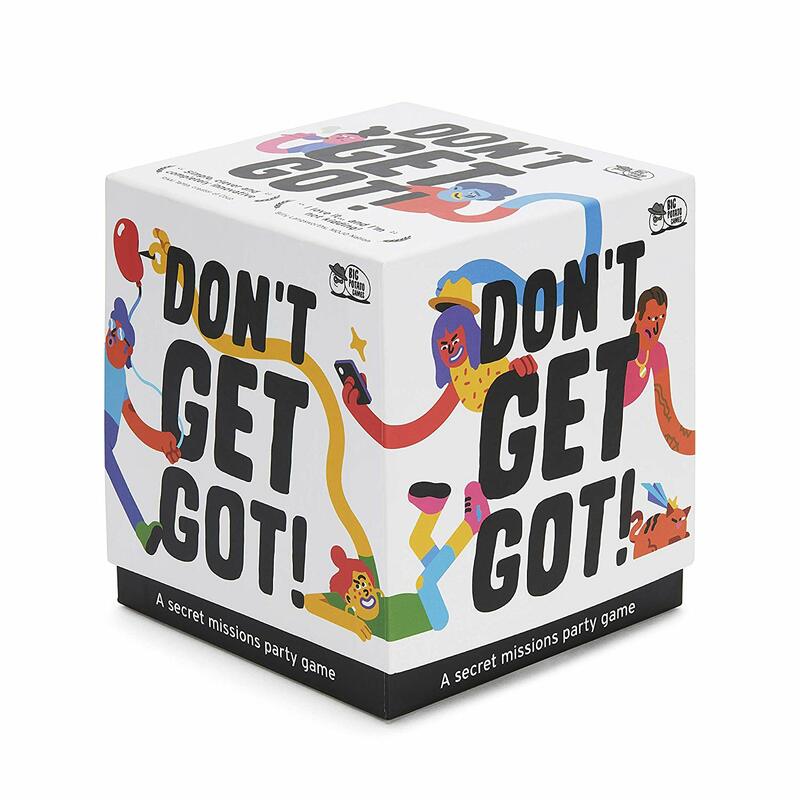 It’s filled with paranoia, requires lots of cunning and, like we said, very different from most of the typical party games for adults. Don’t be mistaken, we love games like What Do You Meme, Exploding Kittens and Cards Against Humanity as much as the next guy, but when you want to take the game away from the table, there aren’t a lot of options (unless you happen to live near an escape room or two). 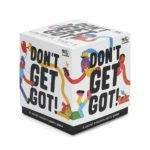 That’s why we created Don’t Get Got – a party game that let’s us compete with our friends wherever we are.